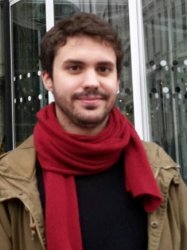 Filippo is a Research Associate at Imperial College London, working on optimisation, optimal control and estimation problems for water supply networks. His research focuses on the analysis and optimisation of large scale networked systems. Filippo is also interested in nonconvex optimisation, mixed integer programming and multiobjective optimisation. Filippo received a PhD in optimisation (water supply networks) from Imperial College London in 2018. Before joining Imperial College, he completed BSc and MSc degrees in Mathematics at Università degli Studi di Padova, Italy.